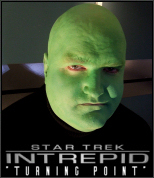 This website offers it's own set of Trek TV shows with a unique crew and cast. They are not produced or released in the order they should be watched, but the reviews, below, will guide you through the order the shows should be watched. Non-costumed Trekkies like me can be grateful for costumed Trekkies like these who feed our habit with grace and creativity. Each review is followed by a link to the website's own review thread in their forums, if you want to read more reviews. However, in the case of the products of this website, I say, watch it first!! http://www.youtube.com/watch?v=3N-KrtZ9S8s (47:07) offers captions in English, French, German, Brazilian Portuguese, Spanish, and Italian. 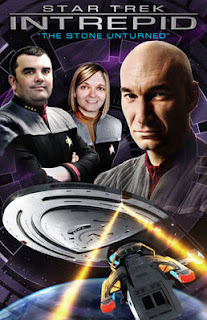 This is a great introduction to a new Trek crew set late in the TNG/Voyager Timeline/Universe. The entire cast is from the UK, and most are Scottish. It took a bit of getting used to, for those of us used to space aliens speaking California English. 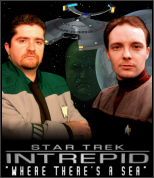 But then, if you can buy a Brit playing a Frenchman, and a Canadian playing a Scotsman, why not a Scotsman playing a guy who is half Romulan? The ship is the same class/type as Voyager, but it's not on the other side of the galaxy, it's on the edge of Federation Space trying to protect a collection of colonists who don't want Starfleet there at all, and who have crazy conspiracy theories ready to accuse the Federation of multiple crimes. As an American, it occurred to me that this may have been exactly how we sounded to the Brits from the early 1600s through the 1770s. Nutty Americans, religious fanatics, exiled criminals, foreigners from all across Europe, accusing the UK of taxation without representation and plans to enslave us while we join in triangular trade which gets slaves to North America, and British troops, including aliens (Germans, not space aliens) are paid by the crown to protect the trouble-making colonials... who, oh yeah, STARTED the war (with the French in the 1760s) the colonies then didn't want to pay for... I rather liked this Trek take on it. Next, they are attacked by red swarms.. not Native Americans, red spaceships. The Scottish Trekkies may have had no such thing in mind, but it worked for me, big time. I loved this show. 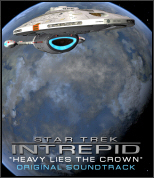 It has the morals of TOS, the fun of NextGen, the intrigue and complexity of DS9, ... I don't want to say too much and ruin it for you. Take the 45 minutes and WATCH IT YOURSELF. I enjoyed this webcast more than the US$140 million Star Trek Movie just released. It ruins nothing to say that there is no 'crown' or royalty of any kind here, just leadership. The dialogue is fully English and the expressions are familiar, but not how Trek usually uses the language. 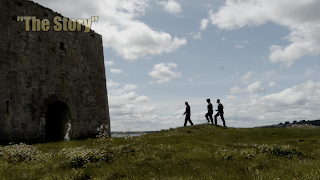 The away team is on a planet which is the beautiful Scottish countryside, and is very easy on the eyes. 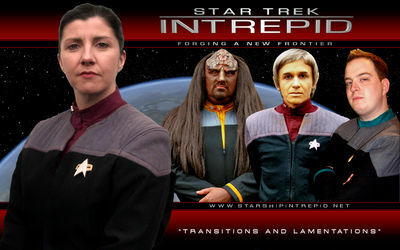 There was a dark, undergroundish Federation group of MI-5/CIA type enforcers they callSection 31 who act outside Federation laws who showed up for very briefly on the TV show, (I've been told by my friends at Intrepid it was DS9). Well, two of them are aboard this ship. 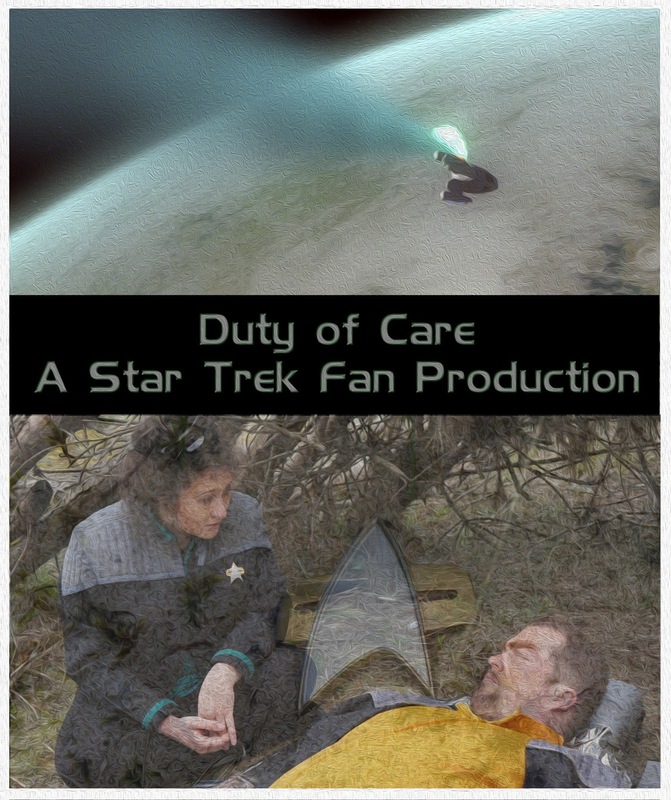 They have secret orders even the acting captain isn't privy to. The next show one should watch in this sequence is actually the one they completed forth. They are not shooting the shows in sequence. This show is about 30 minutes. We get to know this crew better. Most Federation member worlds seem to have somebody on board this small ship. Most speak with a Scottish accent, which is easier for a non-Brit to follow than if they had mixed it up. (There are a few English folk involved but they are minor, and everyone throughout the world easily follows London English). We are again treated to both crew tensions and space battles. We already feel like we know the captain, and are starting to know his bridge crew. The red spaceships are very uneven in size, some bigger than the Intrepid, some the size of a duck. In addition, we see the jellyfish-like flying critters who built and fly them. The Betazoid crew member can't read them because thinking is so different than that of humanoids. Lots of space battles, too. The small red spaceships can operate in the planetary atmosphere, and the battle includes the away team which finds 2000 year old Romulan artifacts. Beautiful graphics, beautiful countryside. The Intrepid crew is trying to ward off expansive invaders. We hear the (MI5-CIA) Section 31 types talking about their role in a sequence of flashbacks to a meeting in a bar... with an electronic cone of silence which made me keep thinking more about Get Smart and CONTROL than James Bond and MI5 or TNG. But aside from the uncertain privacy, we soon find out even the Section 31 guy doesn't really know the whole story. Maybe those colonists and their conspiracy theories weren't so nutty after all. Captain Hunter recruits the Lt. Commander who was captain of the small Federation vessel wreaked in the course of this story as his No. 1. We are warned there is going to be a contrast of command styles, with Capt. Hunter more likely to consult his crew, (think Obama) while the new No. 1 is more likely to give orders and expect them to be obeyed quickly and without question. or on Vimeo here: http://vimeo.com/32705453 (5:45). This is the THIRD video in terms of the story's chronology. 11 minutes. 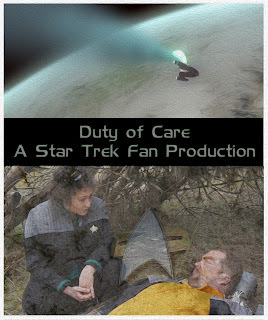 Captain Hunter is none too happy to get secret orders from Section 31 in this short story. Orion traders are attacking Federation vessels. There's a war on crime here, and they want to take down the century old Orion Syndicate. I hope they have better luck than the Italian state. An ending twist makes the merchant space crew who are part of the settlement even more unhappy with Star Fleet. In the course of being questioned, the captured Orion trader claims to be responsible for the death of the wife of Lieutenant Matthew Cole. The Stone Unturned, includes Jean Luc Picard, played by a different actor. Run time 30 minutes. "A Stone Unturned" http://www.youtube.com/watch?v=wk8N0NgML80(30:19). It is also available with Portuguese subtitles, here: http://www.youtube.com/watch?v=1zfTzYpGDXE (30:19) and here: https://vimeo.com/83434835 (30:19) . 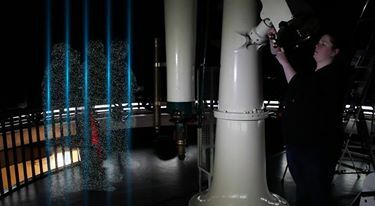 Transposition, on You Tube, https://www.youtube.com/watch?v=FEksN7WSJv4 (6:26) or Vimeo, https://vimeo.com/138236307 (6:27). With Portuguese Subtitles, https://www.youtube.com/watch?v=r5pjqrrzdtc (6:26). The Story, on YouTube: https://www.youtube.com/watch?v=fvVbTb5w5VY(6:26) or Vimeo: https://vimeo.com/256251535(6:26)(released 2/18/2018). Further down the road, they are working on scripts for The Convictions of Demons, Unnecessary Evils and Out of the Darkness. Convictions of Demons may follow Dissonant Minds. In addition, they are working on some non-Trek films. The first is Recon One, intended to be a proof of concept for a longer film. The second is a short film by Steve Hammond. 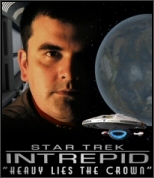 Bit Patterns is also still being rewritten to be NOT a Star Trek script, NOT part of Star Trek: Intrepid. This will prevent Paramount from controlling the distribution, and enable the producer to make a few bucks off these films. It also moves them outside of the scope of this website. In August 2016, due to a similarly named Netflix series, the name was changed from Wicked Things to Lesser Demons. Convergence, A Star Trek Fan Production, crossover with other groups. https://www.youtube.com/watch?v=x530WEc4-tA. just a little bit of bonus info on Convergence for you, as I saw you liked Robins Dark Armada post. We filmed about 50% of our scenes this past weekend (it was a VERY efficient shoot with 2 10hr filming days) and many really fun Indiegogo things shot that most fan films just don't have...so hopefully! But yeh all that stuff is just for you, not public yet! but you've always supported us so you are ahead of most people in terms of BTS on this one!